An average of 34.96 per cent schools in the eight north-eastern states had usable toilets for girls in 2018 compared to 36.66 per cent in 2016, according to data from the Annual Status of Education Report (ASER) 2018 report. According to a report, with 75.7 per cent schools – a marginal increase from 75 per cent in 2016 – having usable toilets for girls, Sikkim performed better than the national average of 66.4 per cent last year. But the State’s show was overshadowed by the less-than-satisfactory performance by seven other states in the region. Nagaland was the next best state with 47 per cent, an increase from 40.9 per cent in 2016, followed by Mizoram with the highest percentile increase from 25.3 per cent to 34.9 per cent in these two years. The other five states performed poorly, the steepest drop for Assam being 38.3 per cent from 54.2 per cent in 2016. Manipur had 9.1 per cent schools having fewer usable toilets for girls, followed by Meghalaya, with 8.6 per cent, Arunachal Pradesh with 7.6 per cent and Tripura with 7.3 per cent. The average for the Northeast last year was poorer than the 44.99 per cent in 2016. 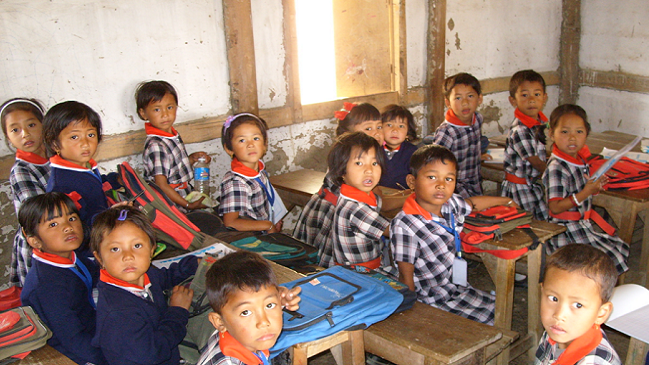 Sikkim, Assam and Mizoram had an average 68.53 per cent schools that had drinking water facilities in schools. The national average was 74.8 per cent.